Wow!! Only took 11 days total to receive my order. Pharmalady was even kind enough to throw in a few extra goodies as well. I'd like to thank her and her team for their professionalism and top notch customer service. It's time to cut up baby!!! Thanks for your td pictures and the compliments on the services rendered. 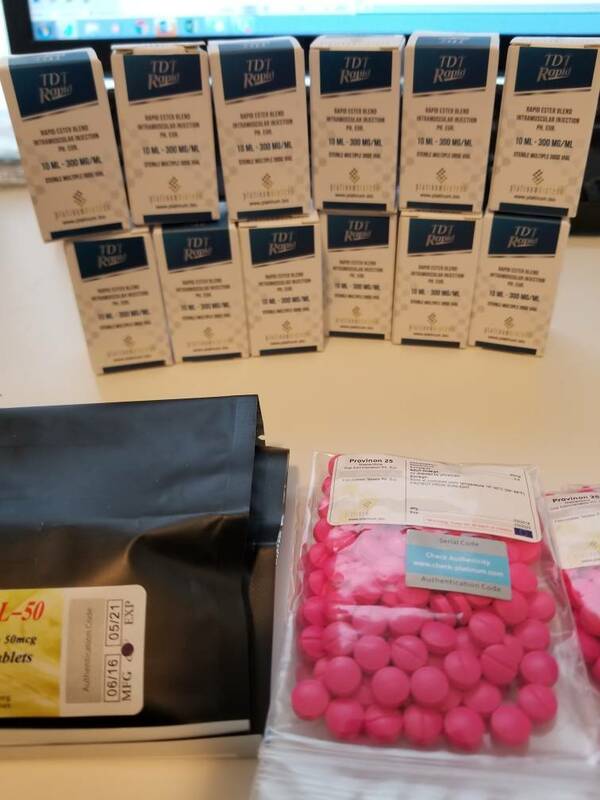 Pharmalady already provides high quality products at prices everyone can afford, so now more effort is being put into improving customer satisfaction. Nice TD ...time to get shredded. .keep us posted on progress. Can you tell us if its worth ordering with her and better or at par compared to liquid? It's a matter of preference, some people have problems taking tablets and prefer liquids. Others don't like the taste of liquids and prefer tablets. Did you know there are a lot of medications that come in both forms for example amoxicillin and they're equally effective. The only difference is liquids may be faster acting because it doesn't have to be dissolved.